December 2, 2016 by Ken Ward Jr.
America’s uncertain stance toward global warmingunder the coming administration of Donald J. Trump has given China a leading role in the fight against climate change. It has called on the United States to recognize established science and to work with other countries to reduce dependence on dirty fuels like coal and oil. But there is a problem: Even as it does so, China is scrambling to mine and burn more coal. A lack of stockpiles and worries about electricity blackouts are spurring Chinese officials to reverse curbs that once helped reduce coal production. Mines are reopening. Miners are being lured back with fatter paychecks. China’s response to coal scarcity shows how hard it will be to wean the country off coal. That makes it harder for China and the world to meet emissions targets, as Chinese coal is the world’s largest single source of carbon emissions from human activities. 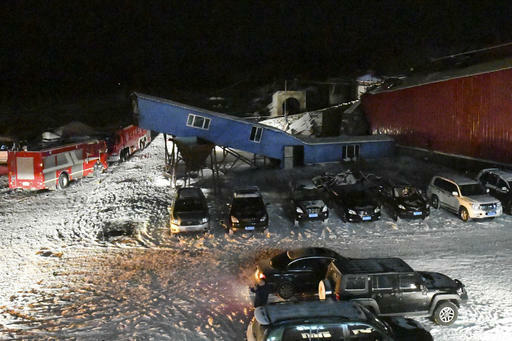 A deadly quarry collapse in northeast China this week reflects a surge in dangerous mining activity across the country as coal prices soar, following a government warning that the rally poses increased casualty risks. The warning, in a report in early November, came as informal data have shown sharp increases in colliery casualties this year, with November the deadliest month so far. On Tuesday, 22 workers were trapped when a shaft caved in at Qitaihe City Jingyou Coal Mine, a desolate outpost in China’s northeast, state-run Xinhua News Agency quoted rescue workers as saying on Wednesday. The cause wasn’t immediately known, nor was it clear whether any of those trapped had survived. Last week, a coal-mine fire in neighboring Liaoning province killed 26 miners. 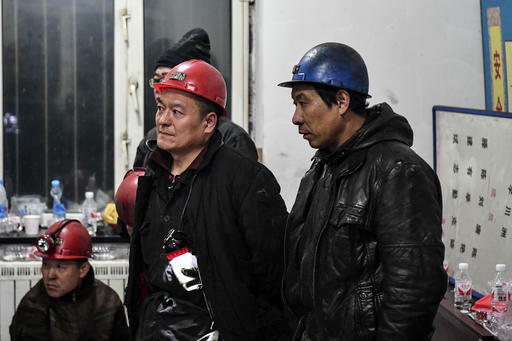 The Work Safety Committee of the State Council, a government agency, also said it would step up surprise inspections, including at night, to counter “illegal practices” at mines that put lives at risk. “As coal prices go up, mines tend to go beyond the usual safety limits to get at the more dangerous coal, and accidents increase,” saidKeegan Elmer, a researcher for the Hong Kong-based watchdog China Labour Bulletin. As the clock ticks down to the beginning of Donald Trump’s presidency, the Obama administration is moving to enact one final measure aimed at cutting coal pollution. According to a spokesperson for the Interior Department, the administration intends to release an update to a decades-old regulation protecting streams from the impacts of mining before Obama leaves office on January 20. Obama’s climate and environmental policies have largely been defined by a slew of executive actions and new regulations, including limits on carbon and mercury emissions from coal-fired power plants; new fuel efficiency standards; and a moratorium on new coal leases on public lands. In recent weeks, the administration has finalized a rule that seeks to limit methane emissions from oil and gas facilities and has placed a chunk of the Arctic off limits to further offshore drilling. 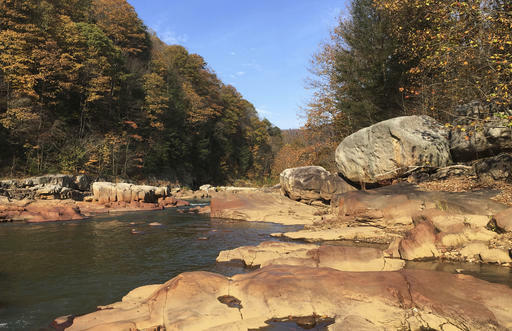 … Derek Teaney, senior attorney with the nonprofit Appalachian Mountain Advocates, says environmentalists have been waiting years for the rule to be strengthened. It was last updated by the Bush administration in 2008, and critics complained those changes left coal companies with too many loopholes. The Bush-era revisions were challenged in court by environmental groups, and the Interior Department withdrew them in 2014 … The “Obama administration has frittered away its time,” said Teaney. The new Trump administration will no doubt be quick to unravel all the good environmental policies of those before him and the years it took to get here. Predict that if they find resistance to repealing laws, they’ll just resort to that old standby trick of not funding enforcement. The real harm will come when he backs out of global climate initiatives, demonstrating to countries like India and China that they don’t need to care either. Such a shame. Rocky here you go again trying to equate China’s deplorable statistics in mining deaths to that of the U.S. I have no agenda to promote the U.S. coal industry, except to say anyone in their right mind would know in modern times China does not come close to comparing to the U.S mining safety. I stated the U.S. had many fatalities in the early years but that has changed significantly in modern times. Also, as I stated one can never rely on the REAL stats coming out of a dictatorship country. They simply do not even know how many mines are operating in that country. Their horrible death toll every year is unbelievable and little to no action is ever enough to stop these preventable deaths… You sir need to go back and study your subject in much more depth….